In this case, Union of India and Simplex Infrastructure Ltd., were parties to an agreement for the construction of 821 units of permanent shelters in the tsunami-hit Andaman and Nicobar Islands. Following dispute between the parties, arbitration was conducted as per agreement and award was passed in Company’s favour against Union of India directing the latter to pay a sum of ₹9,96,98,355/- with simple interest @ 10% per annum. In January, 2015, Union of India initially filed an application to set aside the award before the District Judge, Port Blair for setting aside the arbitral award. On 12 February 2016, the District Judge dismissed the respondent’s application under Section 34 of the 1996 Act for want of jurisdiction. On 28 March 2016, the Union of India filed an application under Section 34 before the High Court of Calcutta for challenging the arbitral award, along with an application for condonation of a delay of 514 days. The UoI justified the delay, invoking Section 14 of the Limitation Act, contending that there was a bona fide mistake in filing the application before the wrong forum and also the delay due to which necessary formalities were not complied with within the prescribed time. The Calcutta High court condoned the delay. 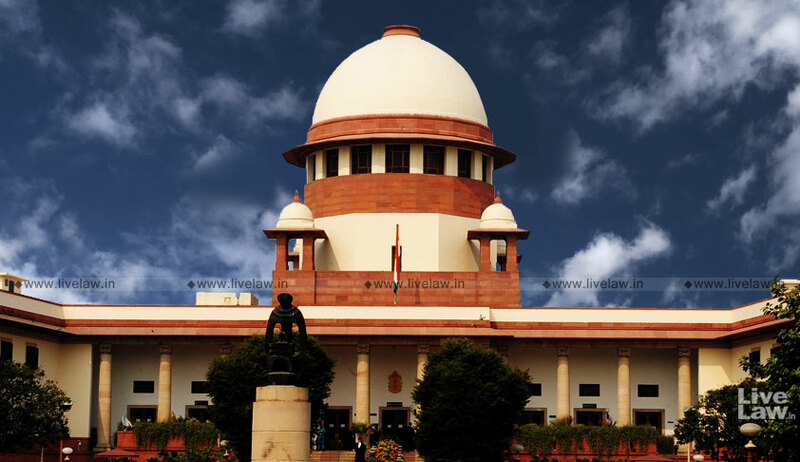 In the appeal filed before the Apex Court, Senior Advocate Aryama Sundaram, appearing for the company, contended that even if the benefit of Section 14 of the Limitation Act is extended to the respondent in filing the application under Section 34 of the 1996 Act, there would still be a delay of 131 days which could not be condoned in view of the specific statutory limitation prescribed under Section 34(3) of the 1996 Act. With respect to the delay of 131 days, the Union of India submitted that there were no willful latches on its part and the delay was caused due to inevitable administrative difficulties of obtaining directions from higher officials. Referring to relevant provisions of both the statutes, the bench comprising Justice Dhananjaya Y Chandrachud and Justice Vineet Saran said that use of the words “but not thereafter” in the proviso to Section 34(3) of the Arbitration and Conciliation Act, makes it clear that the extension cannot be beyond thirty days. “Even if the benefit of Section 14 of the Limitation Act is given to the respondent, there will still be a delay of 131 days in filing the application. That is beyond the strict timelines prescribed in sub-section (3) read along with the proviso to Section 34 of the 1996 Act. The delay of 131 days cannot be condoned. To do so, as the High Court did, is to breach a clear statutory mandate.”, the bench said.